Pull out your costumes and put on your masks – it’s time for small spooky creatures to haunt the streets of Capitola! On October 29th, the village by the sea will be taken over by ghosts, goblins, boys and ghouls during the annual Children’s Halloween Parade. This will be the 27th consecutive year locals and visitors have donned costumes and headed to Capitola Village for kiddie-themed thrills. The family-oriented affair offers free admission to a fun and safe event for the young and young-at-heart. The entertainment begins with the Halloween Parade. 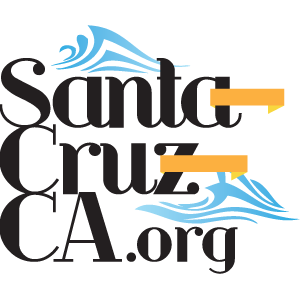 Participants can join the colorful line up beginning at 1:30pm in the Beach and Village Parking Lot above Capitola City Hall. The short but candy sweet Parade takes off at 2pm, when the imaginatively costumed crowd will head down Capitola Avenue, wind through Capitola Village and trail along the Esplanade. The Parade ends at Esplanade Park, where participants are treated to goodie bags, balloons, and refreshments, not to mention the bewitching beachfront views of Capitola and the Monterey Bay. 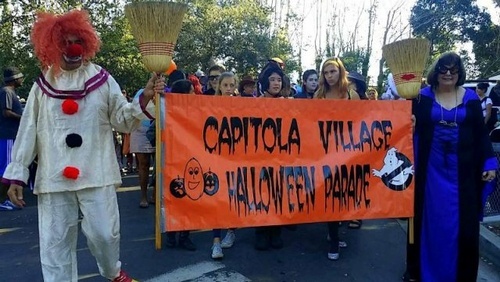 During and following the Parade, the local shops and cafes will be handing out candy to all the costumed youngsters, so guests can plan to keep the celebration going by trick-or-treating at the many charming Capitola Village businesses. Join the community for the mini monster march, get sugared up on candy, and experience the magic and mystery of Halloween in the heart of Capitola Village.